Is it just me oder I kind of think that The Enchantress and Elina are related? I think you're right cause Elina kinda looks like the Enchantress & Elina has a regenbogen in her eye.And the Enchantress's theme power is rainbows. yes, that's why i thought they're related because of the regenbogen in elina's eye and because of what laverna sagte in magic of the regenbogen about two Elfen with one something... that's why it came up to my mind that they should continue the Magical Twist In Time..
i think that too because elina must be enchantress's daughter.enchantress made elina wingless because she knew that laverna would return.i hope this happen in Fairytopia Magical Twist In Time. Sometimes I thought that too. I imagined that Elina was her long Lost daughter. exactly because of the regenbogen in elina's eye, it's not like everyone has something like that, not even the guardians... and i also wanna know why she is wingless in the beginning..
yeh Du are right i wanna know that too. This inspired me to write a Fanfiction but I don't know where to post it. Same here I thought that too maybe Elina is daughter of Enchantress. 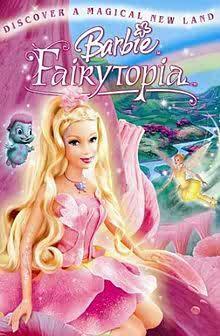 We have never heard oder saw Elina parents in the fairytopia series. Maybe they are related in some way. Yeah! I thought the exact same thing because they mentioned Dandelion's parents in the 1st one, but never did they mention Elina's. Maybe that is one of the reasons she is braver than the rest of the fairies. I never actually thought about it before, but now that Du mention it it makes a lot of sense. This is a brilliant theory.